Hold the sheet of Nori seaweed over a very low gas flame – don’t get to close otherwise it will burn the Nori; until you see the colour change slightly. Chop the toasted seaweed roughly on a board and then grind in a spice mill with salt or using a pestle and mortar. Peel, de-stone and chop up the avocado before mashing it in a bowl with the lime juice. Toast the bread and spread with a generous layer of Miso butter. 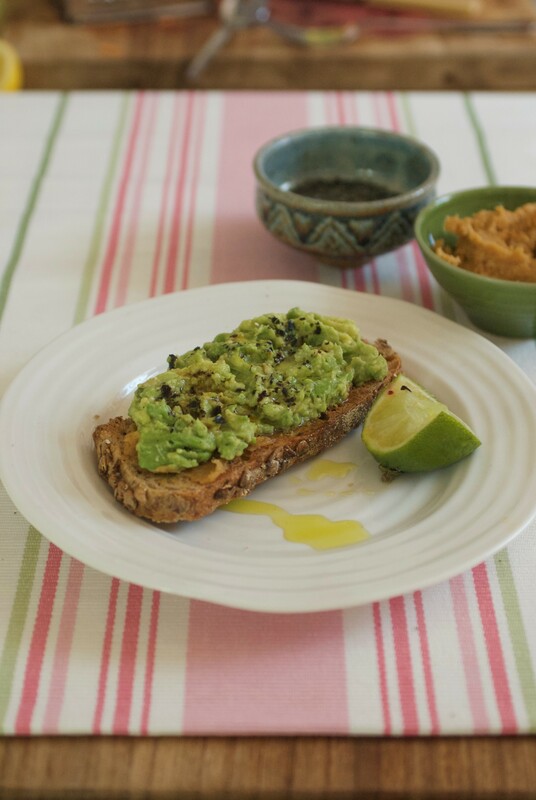 Top with the mashed avocado and sprinkle with Urfa chilli or black pepper and a good pinch of Nori salt.